Exciting news of four major and unique prairie restorations being carried out on Nelson’s four bluffs, including Pikes Peak, Three Sisters, Twin Bluffs and Nature Conservancy Addition. These restorations are prime examples of public/private partnerships between landowners and government agencies. They likely represent the only community that has successfully carried out bluff prairie restorations on all of its major bluff prairies. On the Christopherson and Hetrick bluff prairies on Pikes Peak and Three Sisters, the land was made available and substantial in-kind contributions provided by Gary Christopherson and Dennis Hetrick. Public funding and support was provided by the U.S. Fish and Wildlife Service and Buffalo County. 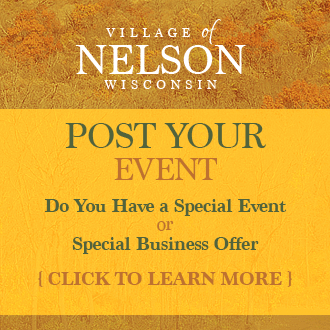 The Christopherson portion is now in the Village of Nelson’s new Thrive! Park, a 25+ acre, bluff top and bluff side park donated by Gary “Chris” Christopherson. On the Castleberg-Buri bluff prairies on the Twin Bluffs, the land was made available and substantial in-kind contribution provided by Myrna Castleberg-Buri. Support was provided by the Wisconsin Department of Natural Resources and the Mississippi Valley Conservancy. On the Nature Conservancy Addition to the Lower Chippewa River State Natural Area bluff prairies, the land (originally owned by the Tenney and Hemion families), the land was made available via the Mississippi Valley Conservancy and the Nature Conservancy. Public support was provided by the Wisconsin Department of Natural Resources.